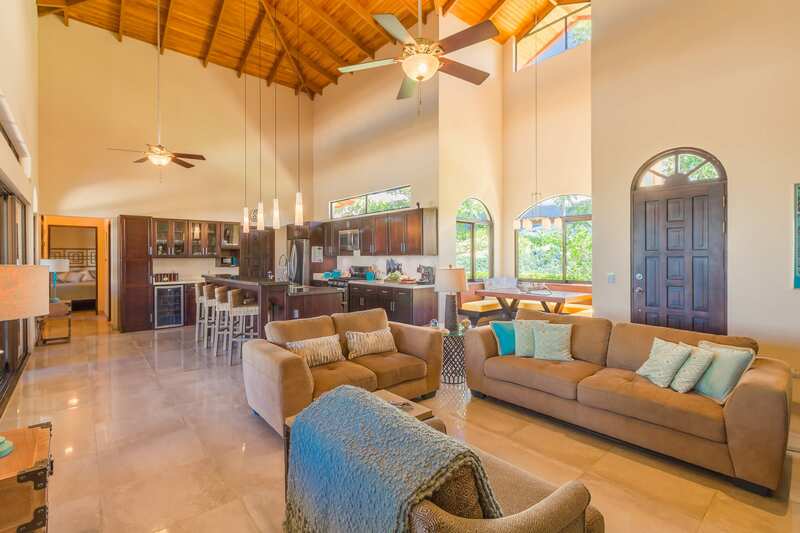 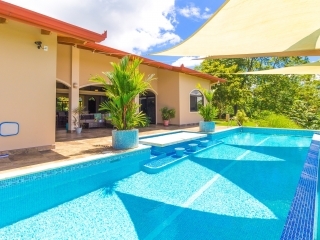 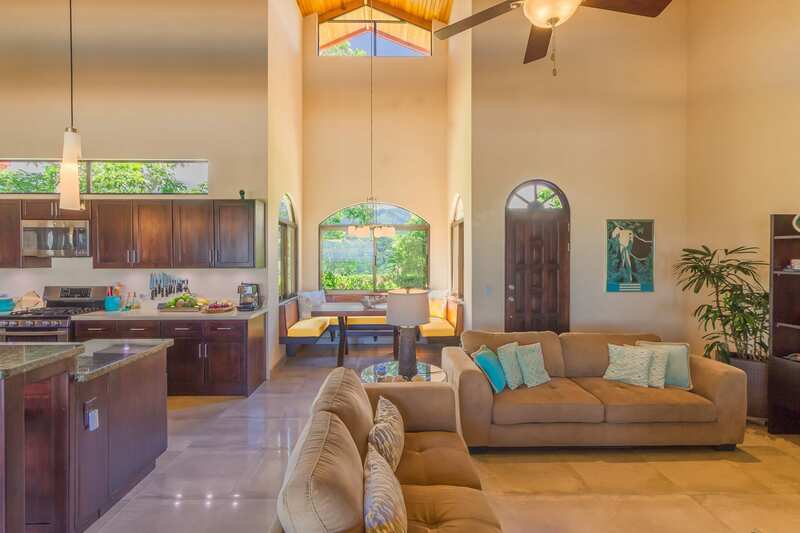 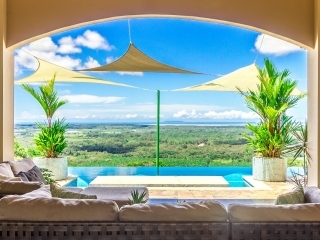 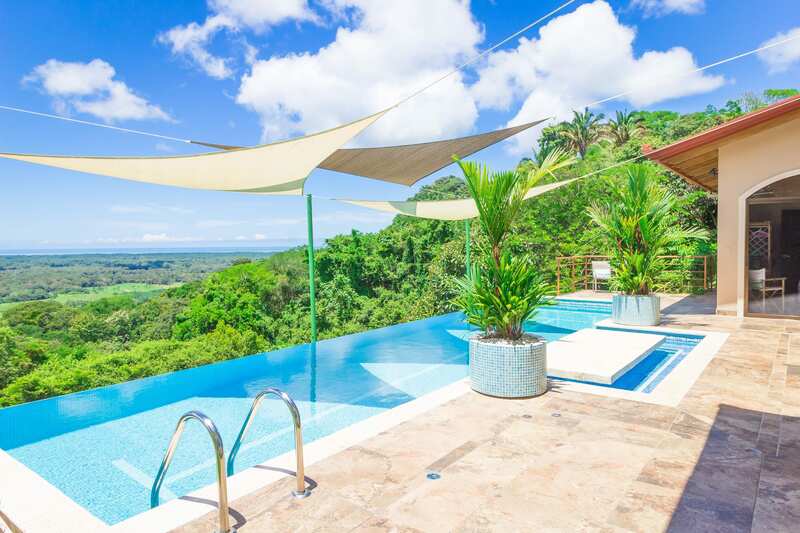 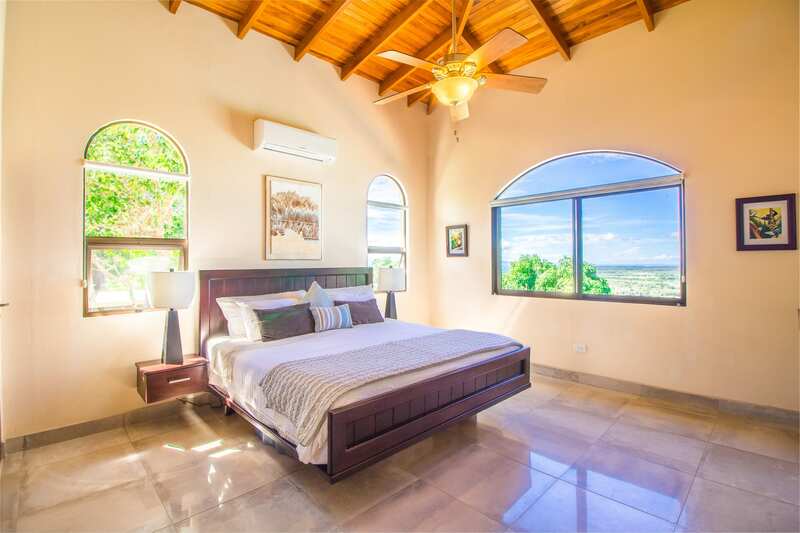 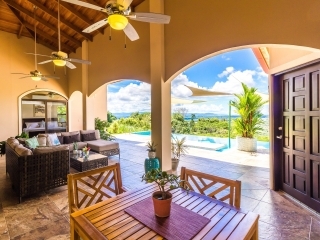 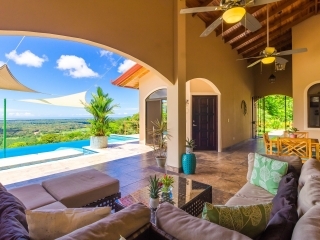 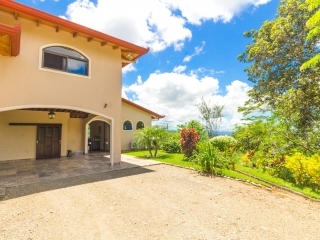 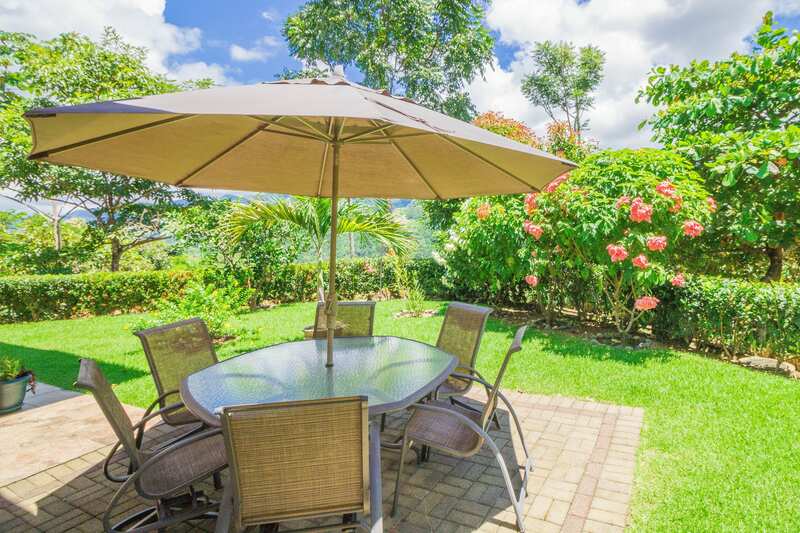 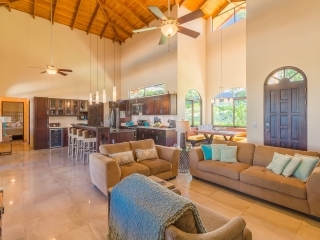 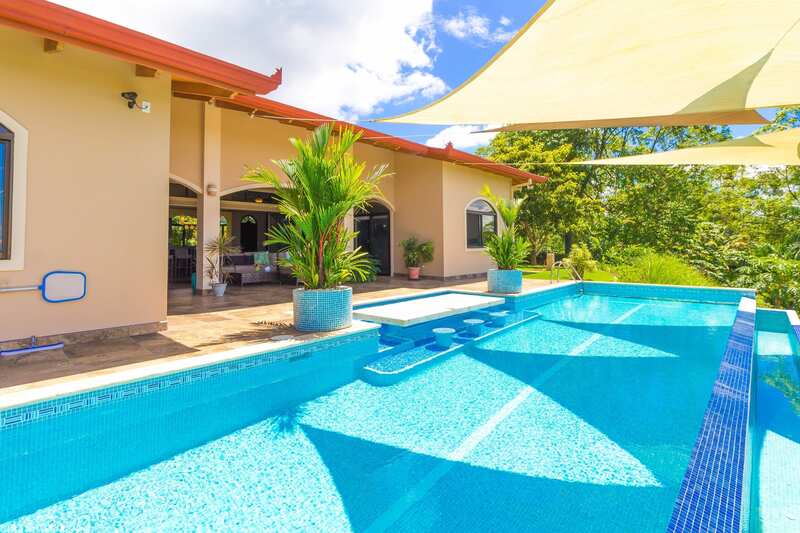 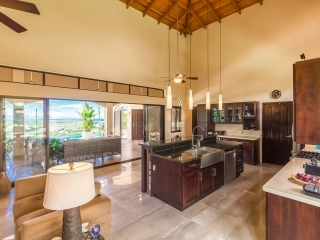 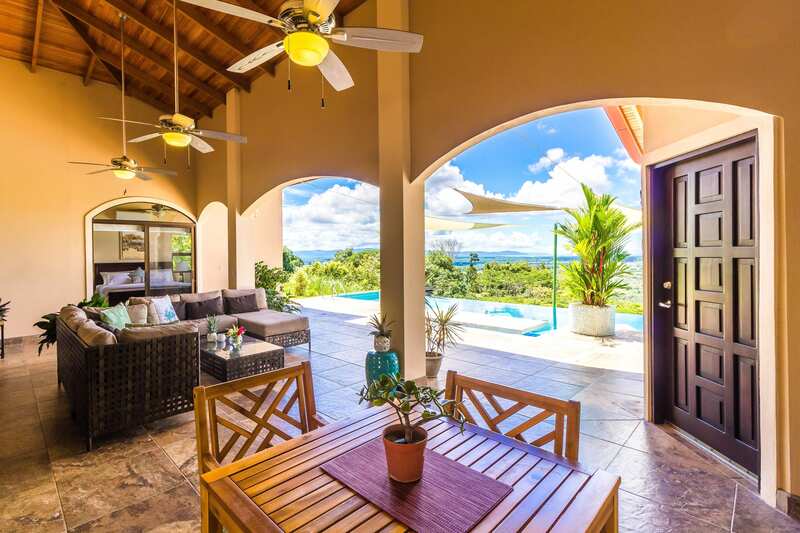 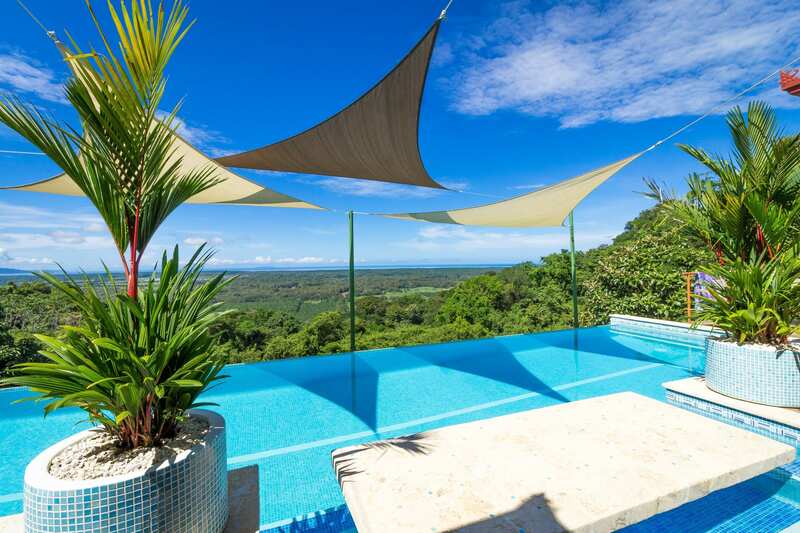 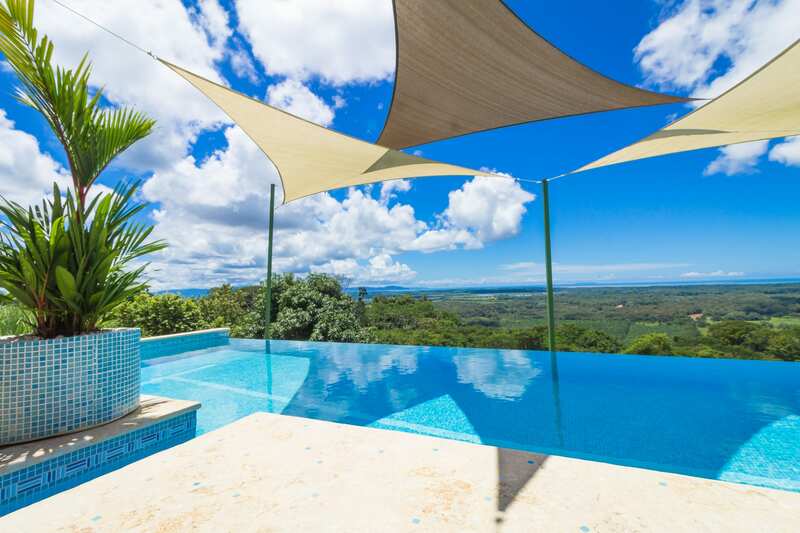 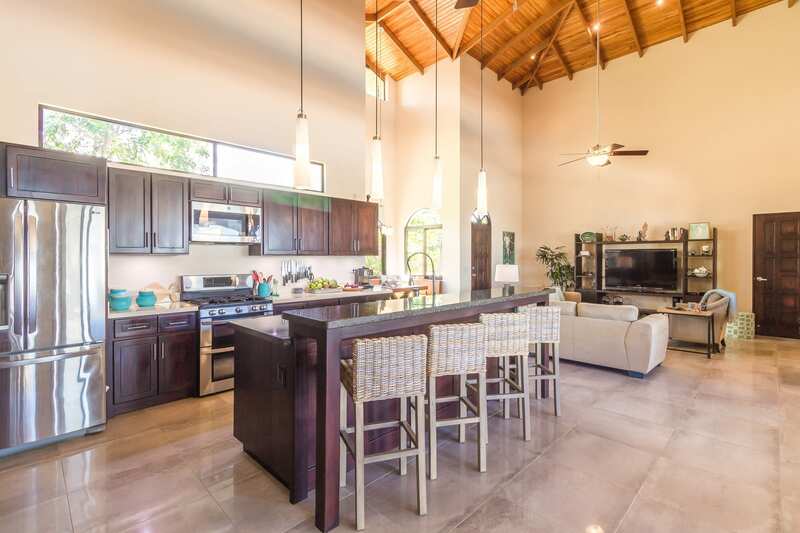 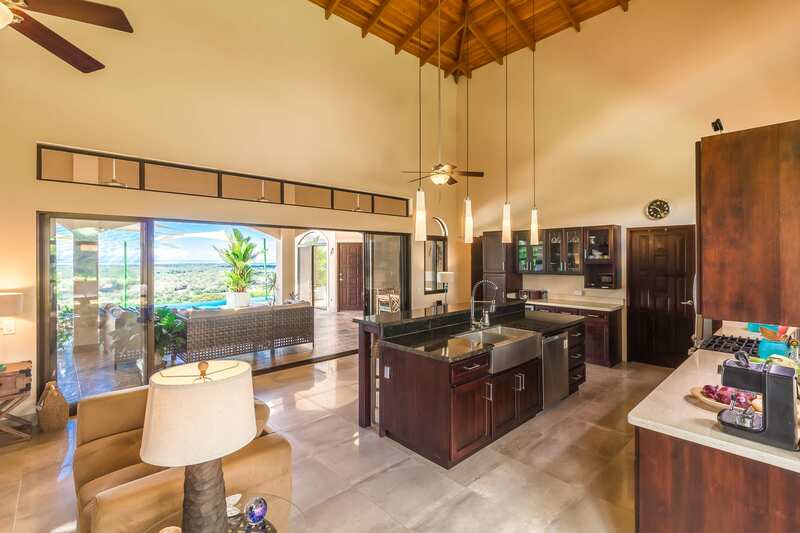 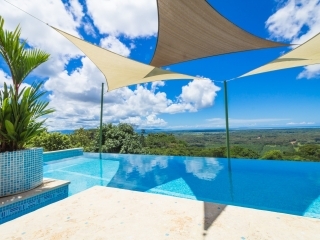 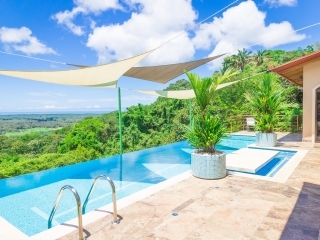 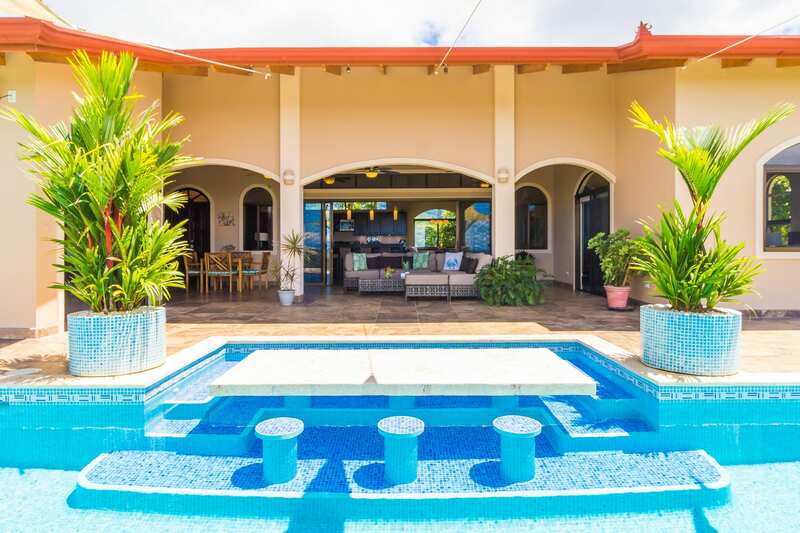 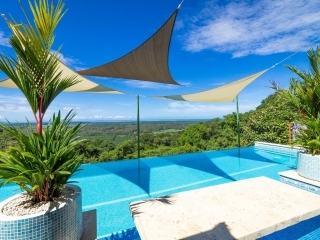 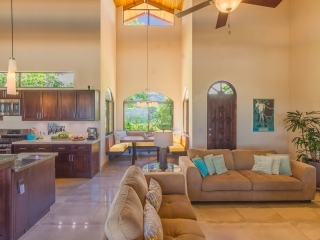 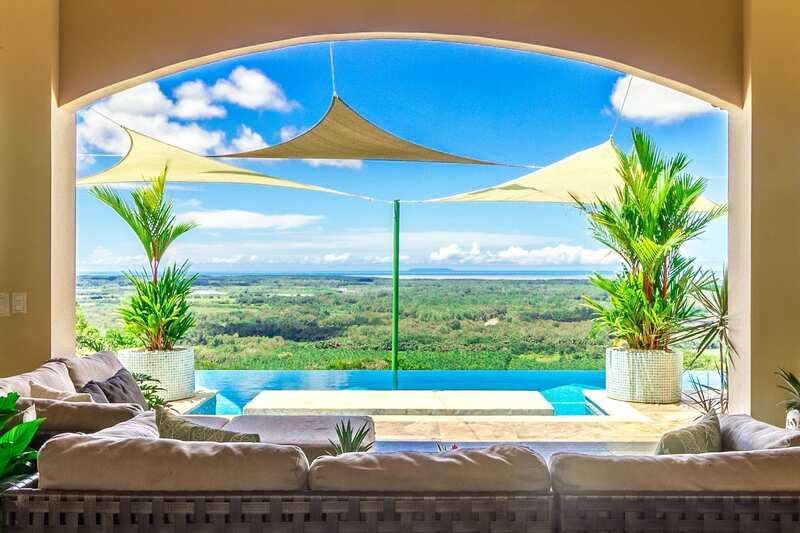 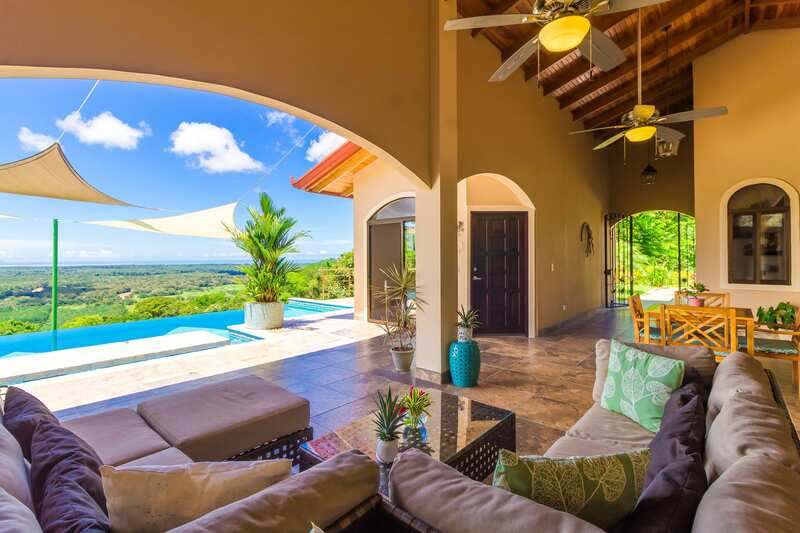 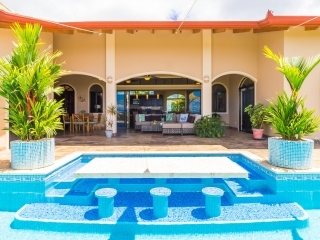 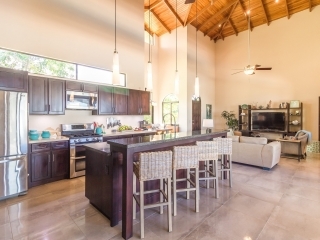 2.9 ACRES – 3 Bedroom Luxury Ocean View Home With Infinity Pool!!!! 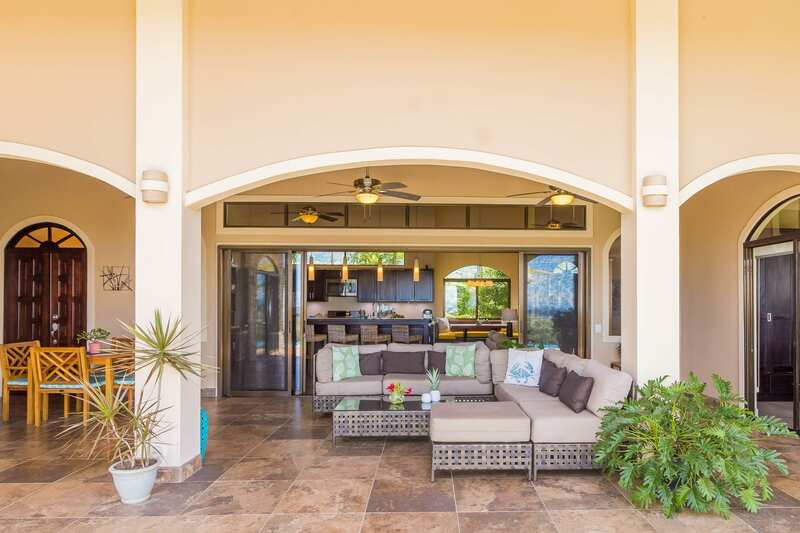 Just off the pool, the large patio and seating area is comfortable and cozy, perfect for relaxing or entertaining guests. 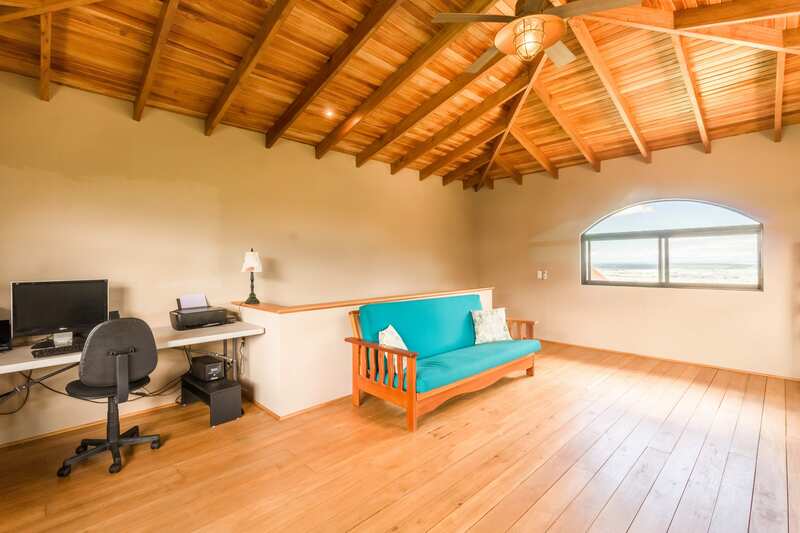 Enjoy the view while enjoying the fresh ocean and mountain breezes, which flow gently throughout the house and keep the home comfortable all year long! 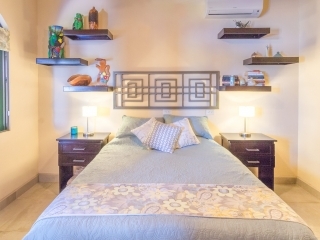 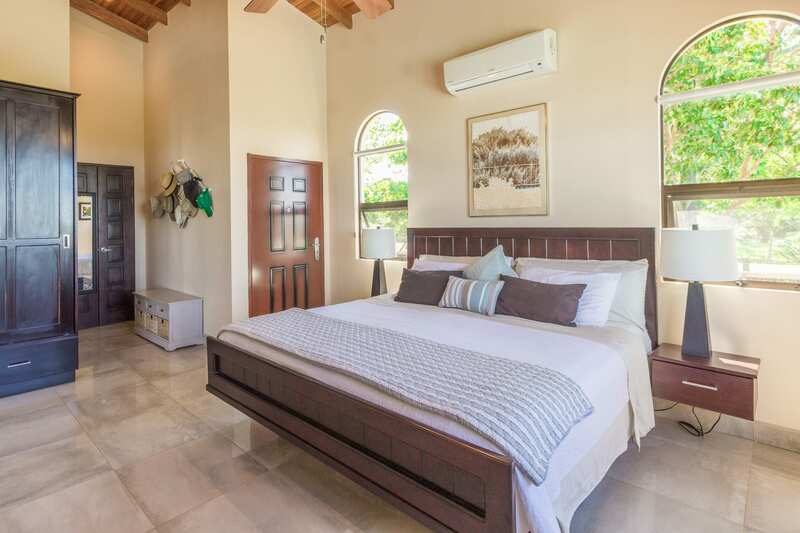 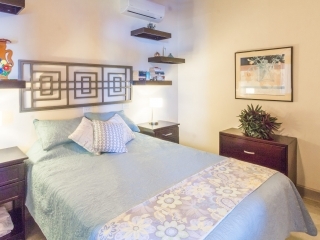 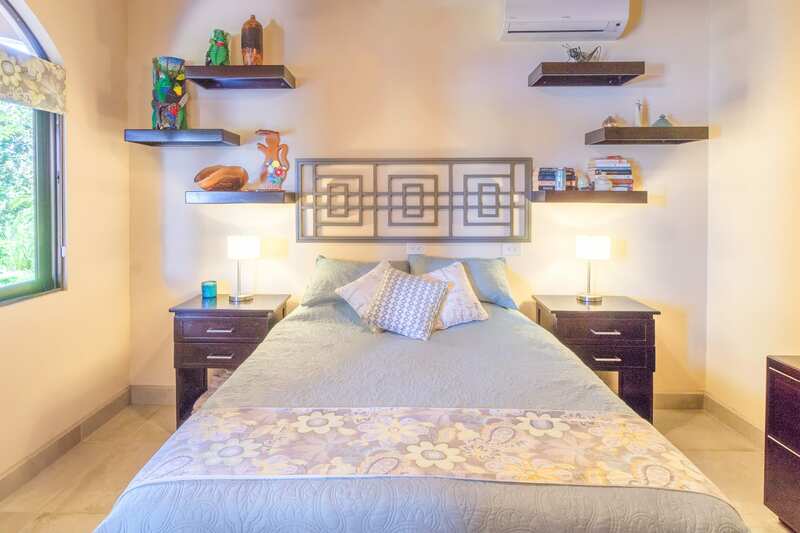 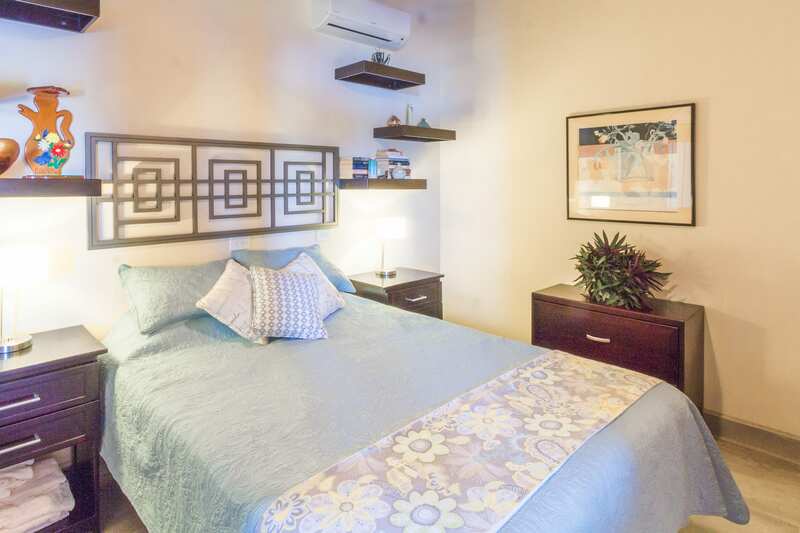 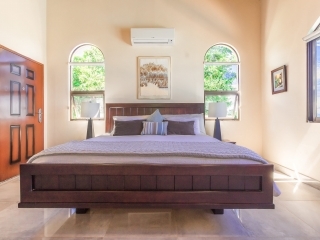 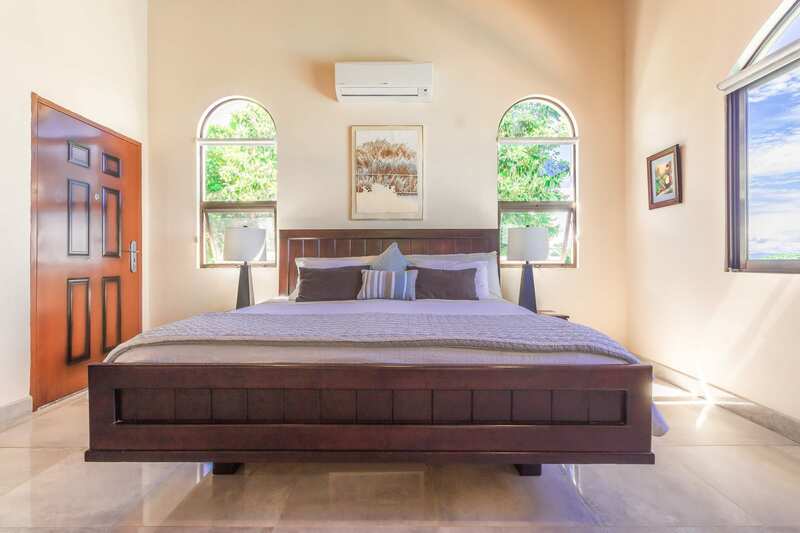 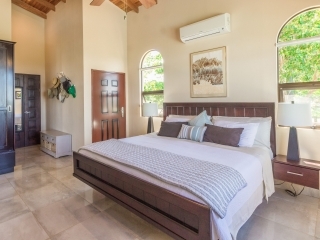 There are air conditioning units in the bedrooms, but with the comfortable breezes, you probably won’t need them. 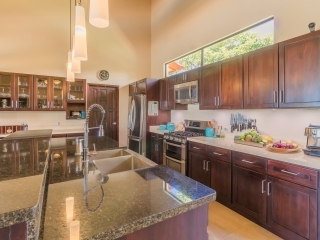 The gourmet kitchen is a chef’s dream, with granite countertops, top-of-the-line stainless steel GE and LG appliances, a large kitchen island for extra work space, cedar cupboards, and even a wine fridge! 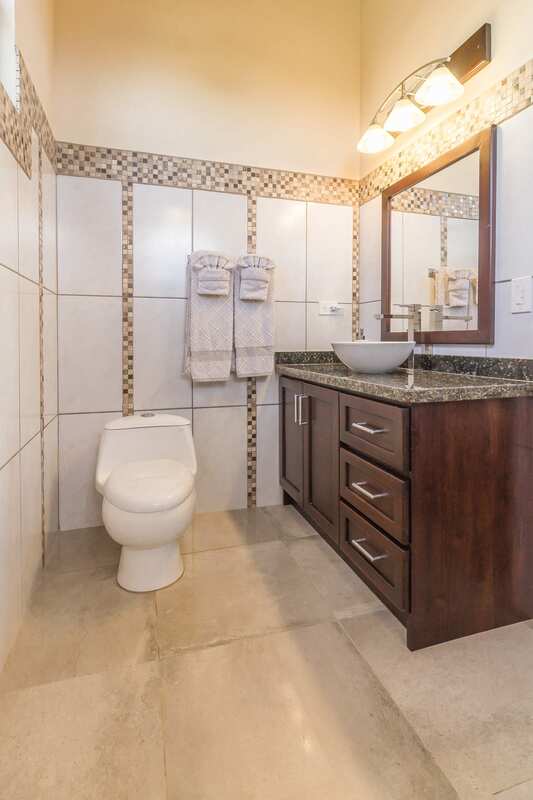 There are three bedrooms, two of which are masters with ensuite bathrooms. 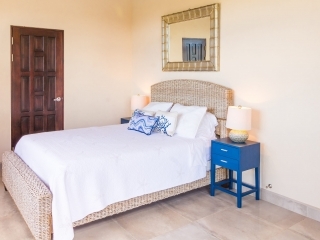 The large bedrooms have beautiful views – wake up to the sounds of the birds and monkeys in the morning! 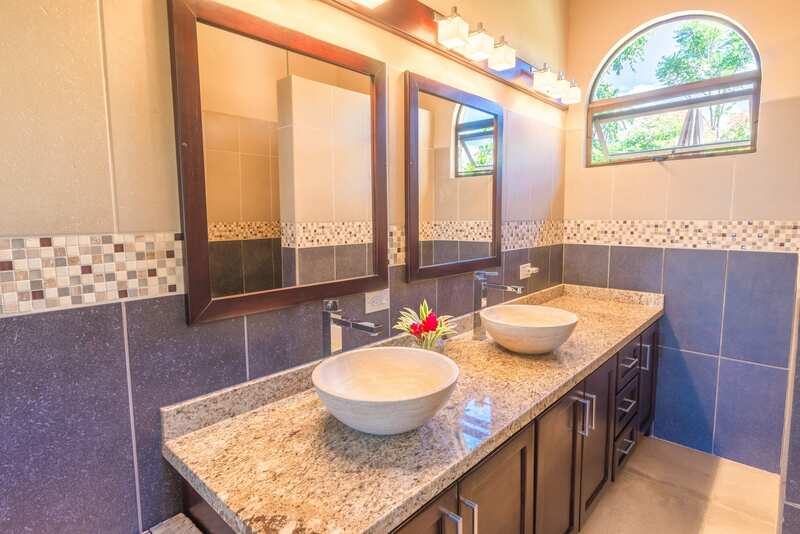 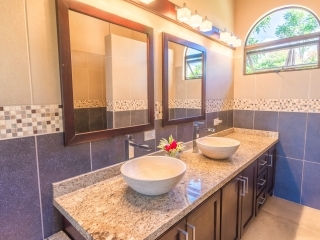 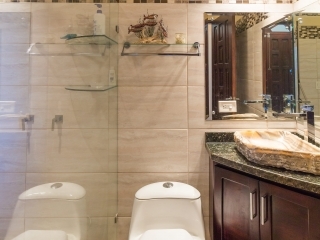 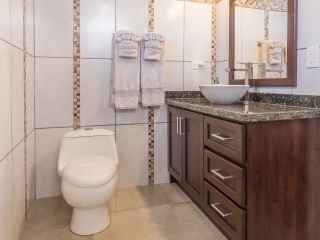 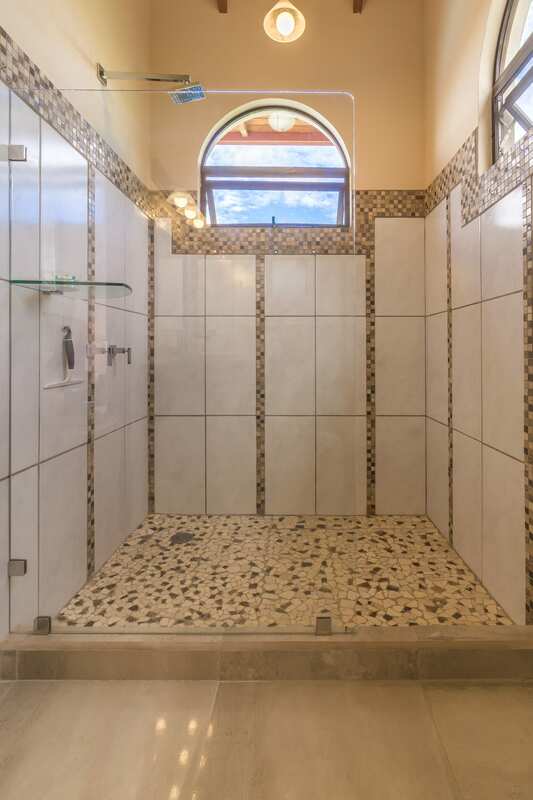 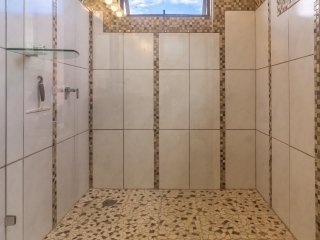 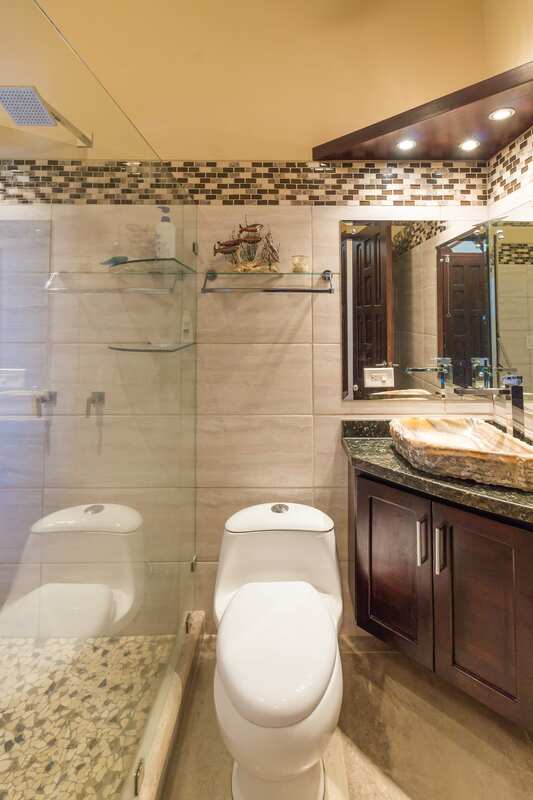 The three bathrooms have granite countertops and beautiful tile work. 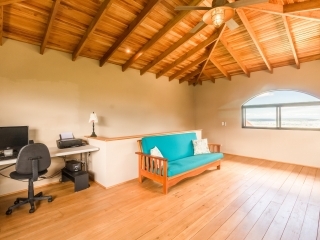 A fourth bonus room provides extra space for guests or for your own studio or office! 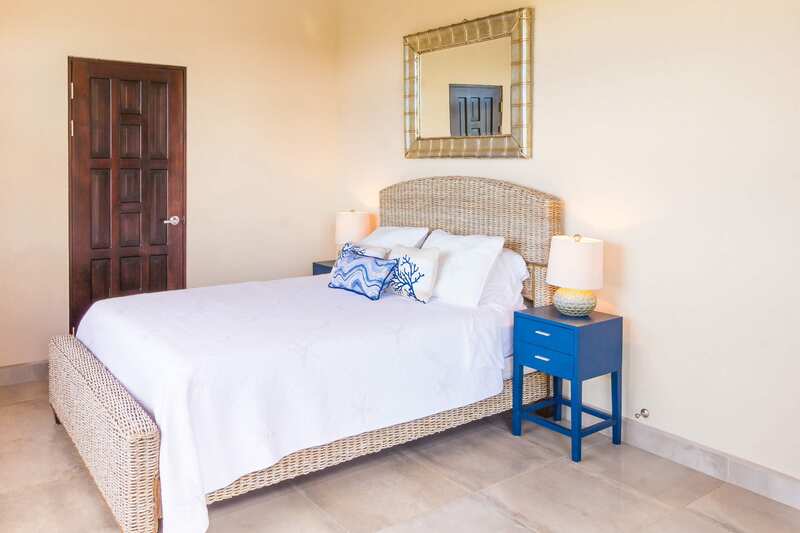 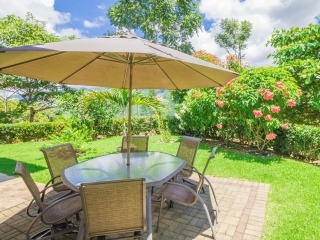 The property is a quiet and private oasis, but still conveniently located just a short drive from the highway, with easy access to nearby towns and local hotspots, and just minutes away from the 18-hole San Buenas golf course! 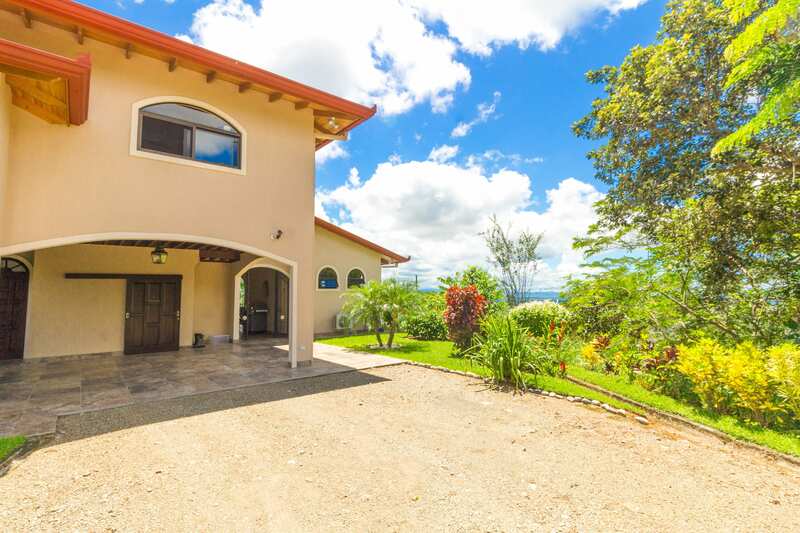 This home also has some of the highest-speed Internet in the region, with a fiber optic cable going directly into the house! 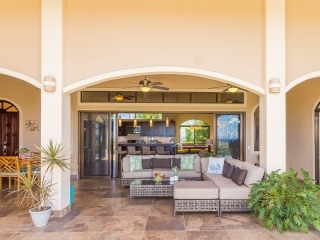 Enjoy convenience and peace of mind by being able to turn on several exterior lights right from your smartphone (from anywhere in the world)! 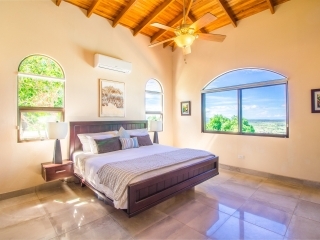 If you’re looking for investment potential, this is the perfect high-season rental opportunity!